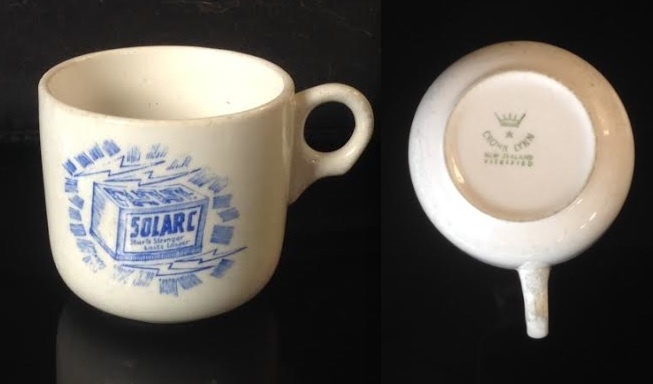 SOLARC cup with green crown and star (from 1955) vitrified backstamp. I can find no number to fit this, so I'm wondering if it just nestles in there with all the odd sizes that make up the 700 number. 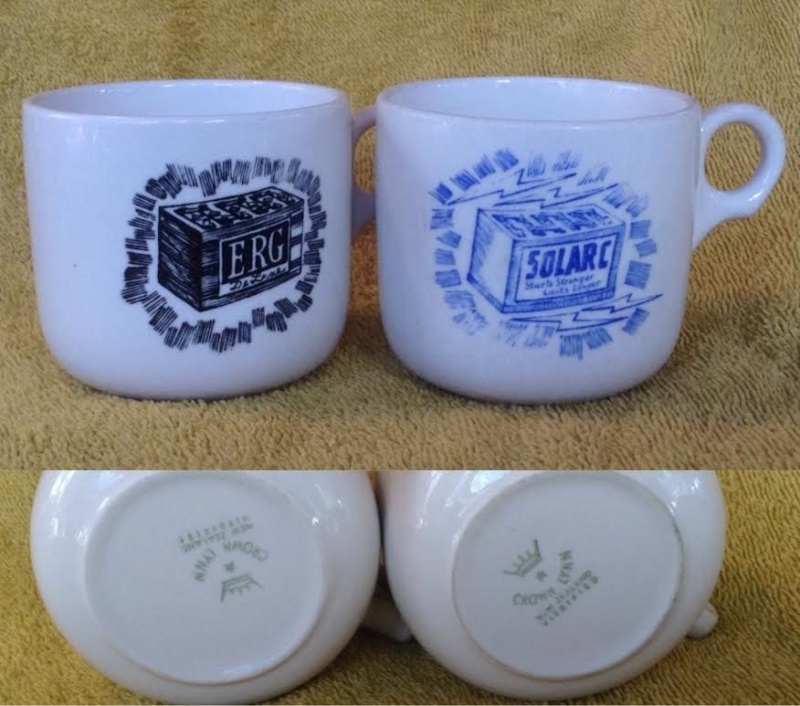 This cup is smaller than the 700 (NZR etc) cups of its era in both height and diameter (and way smaller than the 1960s version). 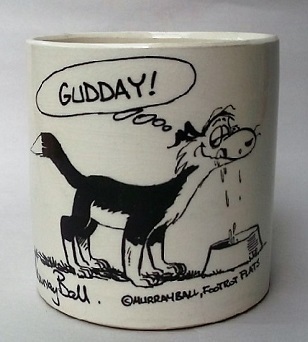 It has the same handle as the 755 Carlton cups, is about the same diameter, and stands about 8mm taller. The footring size matches that of the 700s and it sits happily in their saucers. 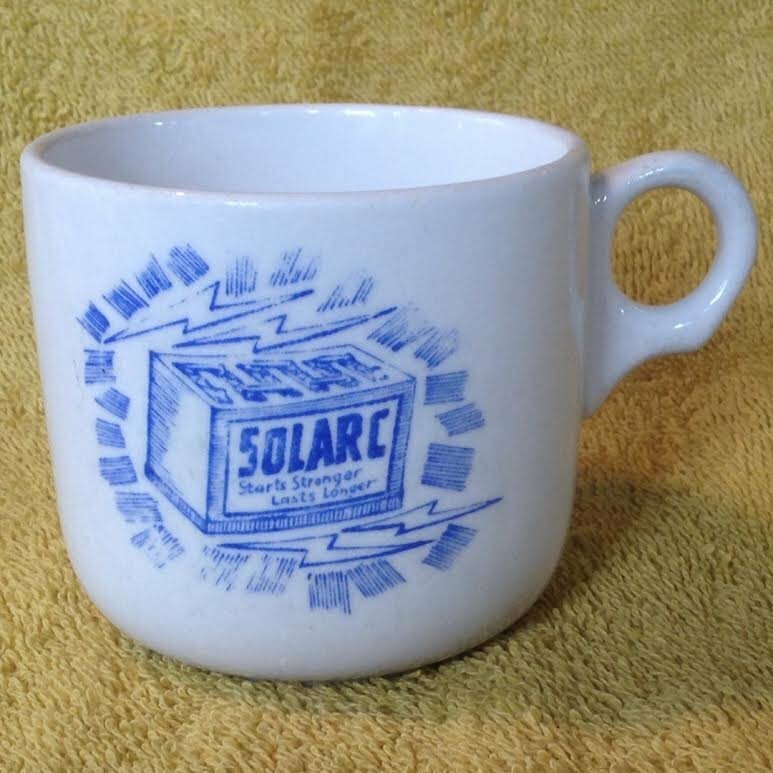 I don't know whether the SOLARC transfer counts as a MONOGRAM or pattern but I'm guessing the former. That's a picture of a battery if you didn't get it. It's still a bit grubby: I'm working on it. Her measurements are within one and two millimetres of mine (75x78) so I assume it is the same size. My Erg cup arrived today. I'll post the two side by side when the ipad returns from Auckland. 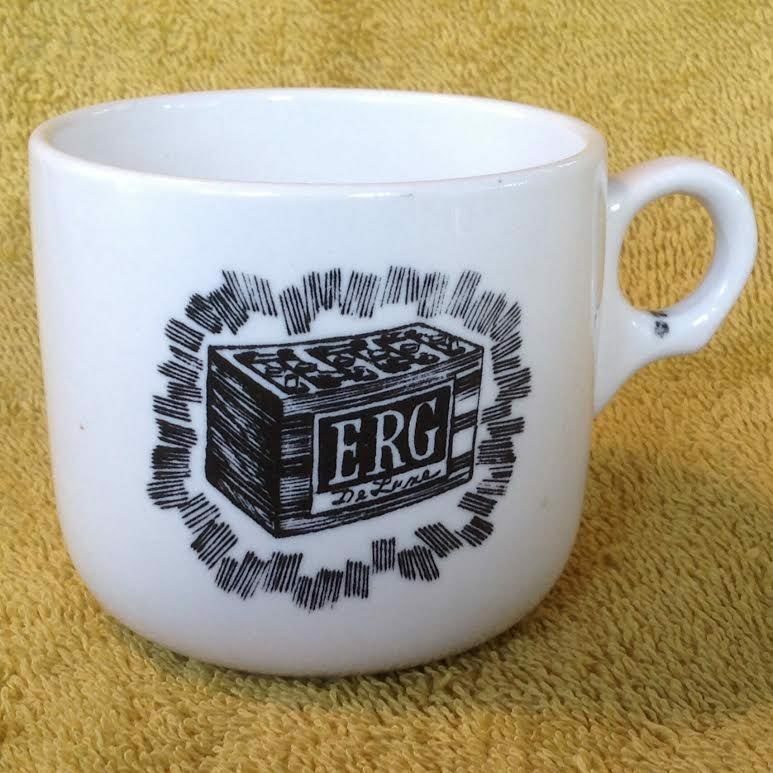 I have an Erg cup too now. I photographed the Solarg again because it was dirty in the top pic. I said above that footring matches 700s, but not the one I just compared with. Smaller than 700, larger than 755. 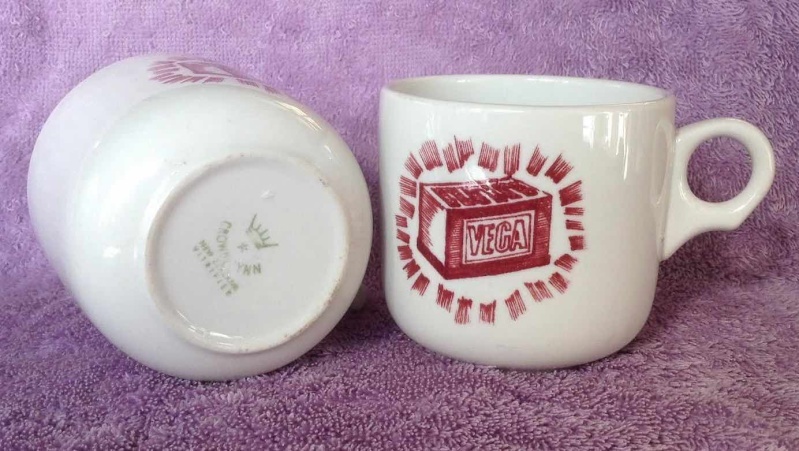 I got a couple more Ergs recently and now two VEGA. I used to work with batteries. 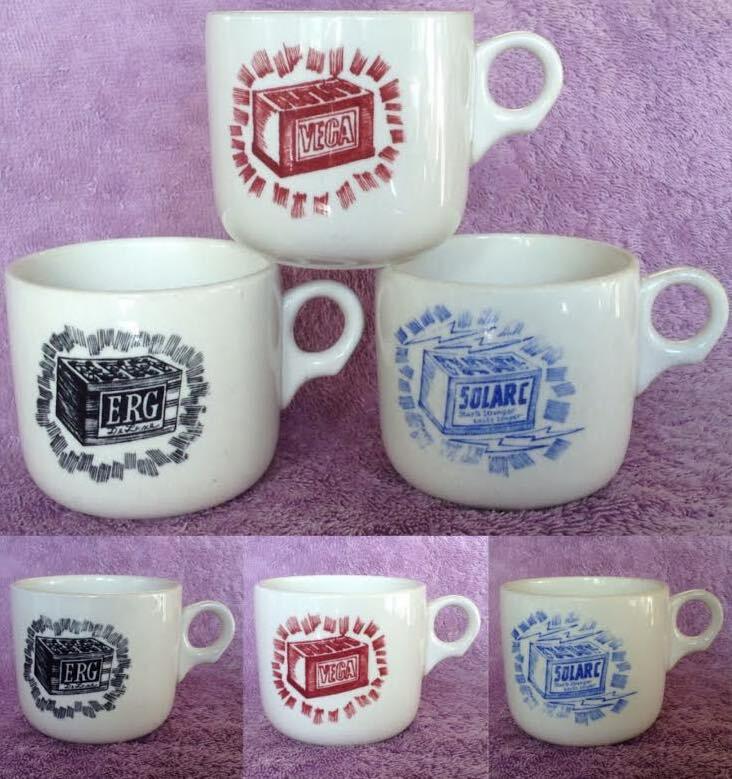 Of these three I knew only the Erg brand. I wonder if there are any more.